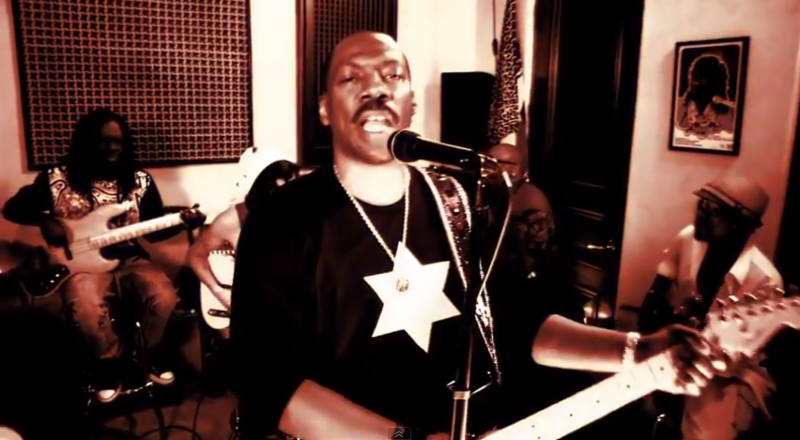 Eddie Murphy unleashes the brand new video for his reggae single "Oh Jah Jah," released by VPAL Music (VP Records' subsidiary label and distribution arm). The critically-acclaimed track, which Huffington Post claims "will have you jamming" and Entertainment Weekly describes as "breezy," peaked at #1 on iTunes Reggae Single Chart and debuted in the Top 5 on the U.S. Billboard Reggae Digital Song Chart. Last Friday, Extra TV gave us a sneak peek of the video, which is directed by Richard Gumbs III and filmed at Eddie Murphy's studio in Beverly Hills. Today, VH1 premieres the visual online, raving that the "sunny reggae track will cure all of your midweek blues." This is not the first time the revered comedian/actor/singer has dabbled in the genre. "Oh Jah Jah" follows Murphy's 2013 collab "Red Light" feat. Snoop Lion. He also teamed up with the legendary Jamaican dancehall artist Shabba Ranks on his 1993 track "I Was A King." Fans can expect more reggae collaborations from Eddie Murphy this year. He recently teamed up with Jamaican dancehall icon Beenie Man on his next single, which is slated for release this spring.